An infrastructure loan scheme run by the Greater Lincolnshire Local Enterprise Partnership has made its first award of £2.9 million to support a major development in Mablethorpe. The money is from the organisation’s £9 million Invest and Grow Fund and has been loaned to Lindum Group for its multi-million pound Golf Road project in the town. The development represents a major investment to the town and will include 180 new homes, a restaurant, a care home and a Tesco supermarket at the 30-acre site. Overall the scheme will create 530 jobs, and bring in a further £6.5 million private sector investment. The loan fund, which is part of the national £500 million Growing Places Fund, aims to help drive forward the economy by offering loans to cover infrastructure costs for large projects. These could be developing an existing building complex, bringing a redundant building into economic use or creating new infrastructure routes to open up land for further economic development such as housing or employment. Ursula Lidbetter MBE, Chair of the Greater Lincolnshire LEP, which works to improve infrastructure and the conditions for doing business in Lincolnshire, North Lincolnshire and North-East Lincolnshire, said: “We are thrilled to award the first loan of £2.9 million to Lindum Group for their development in the Mablethorpe area. The Mablethorpe project is scheduled to last four years, with the housing estimated to take two years to complete and Tesco beginning its building works this time next year. Over time, the money borrowed through the Invest and Grow scheme is paid back to the Greater Lincolnshire LEP so it can make further investments to support economic growth.  It is open to all businesses and organisations in the Greater Lincolnshire area, which includes Lincolnshire, North Lincolnshire and North-East Lincolnshire. The Invest and Grow Loan fund is currently open for expressions of interest, and the LEP is encouraging developers and businesses to come forward to discuss their growth plans. More information about the Invest and Grow Fund, the application process and contact details can be found here.